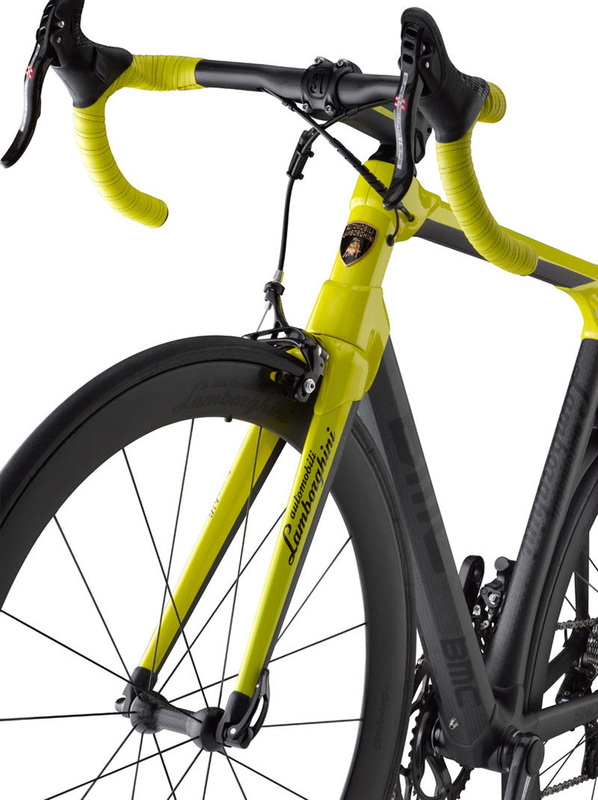 The 50th Anniversary Lamborghini Edition impec is equipped with the special edition Campagnolo Super Record 11-speed (you can see the “50” mark on the crankset). 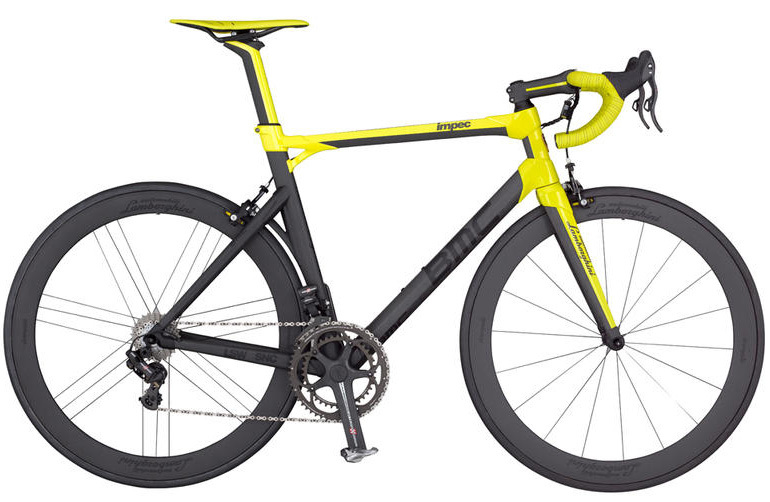 The frame is also compatible with Campagnolo’s electronic shifting system, Super Record EPS. 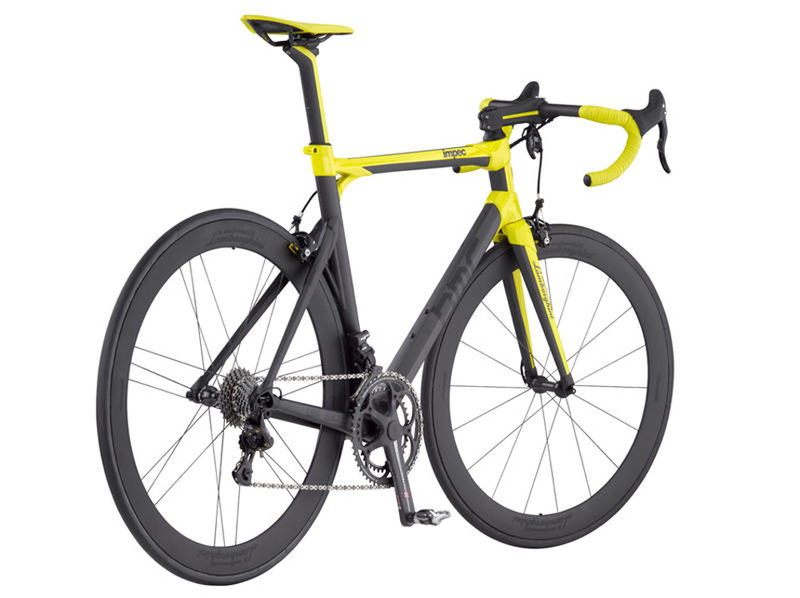 The weight of the bike is only 6.85 kg. This dream bike combines Italian flair and tradition with modern technology. An exclusive set of Italian made components equips the impec frame, which is then painstakingly painted to highlight the precise carbon assembly while at the same time linking the complete work to Lamborghini’s Aventador dream car. Additional details have been incorporated from the Aventador, including the same leather used by Lamborghini for their seats. This hide makes its way to the impec’s cockpit for bar tape and saddle. The color, the feel, and the look are all authentic and exclusive to the Lamborghini Edition impec. 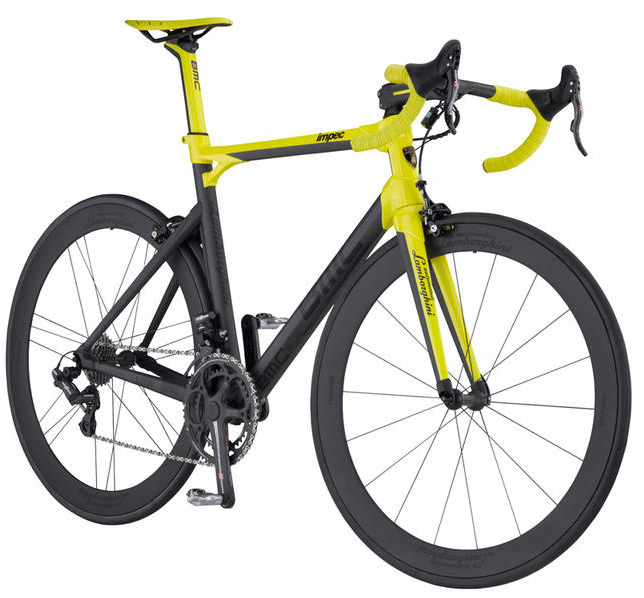 The production of that very special bike is limited to 50 pieces worldwide, and will be produced on a made-to-order basis. Retail price is set at 25,000 Euros (around $32,000). 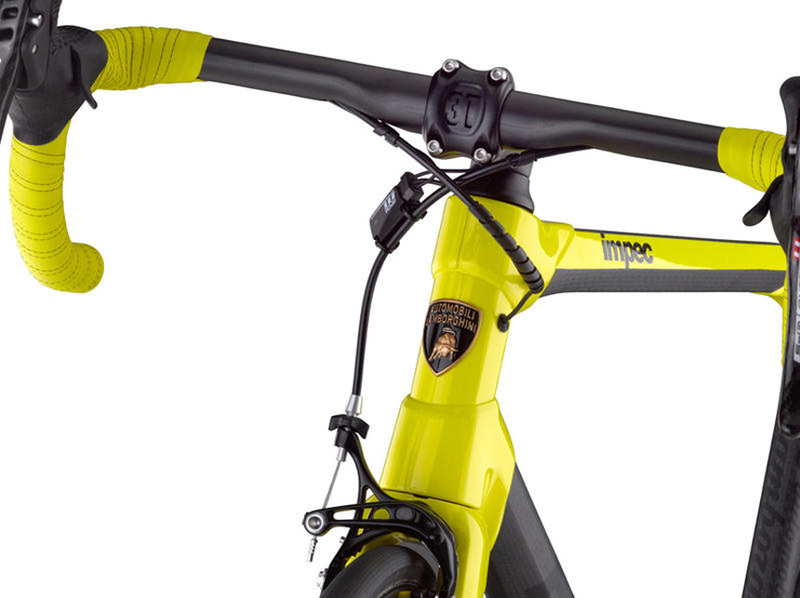 The impec Lamborghini can be ordered exclusively through the either the international BMC or Lamborghini dealer network. The bikes will be delivered by the dealer. BMC impec Lamborghini 50th anniversary edition head set. 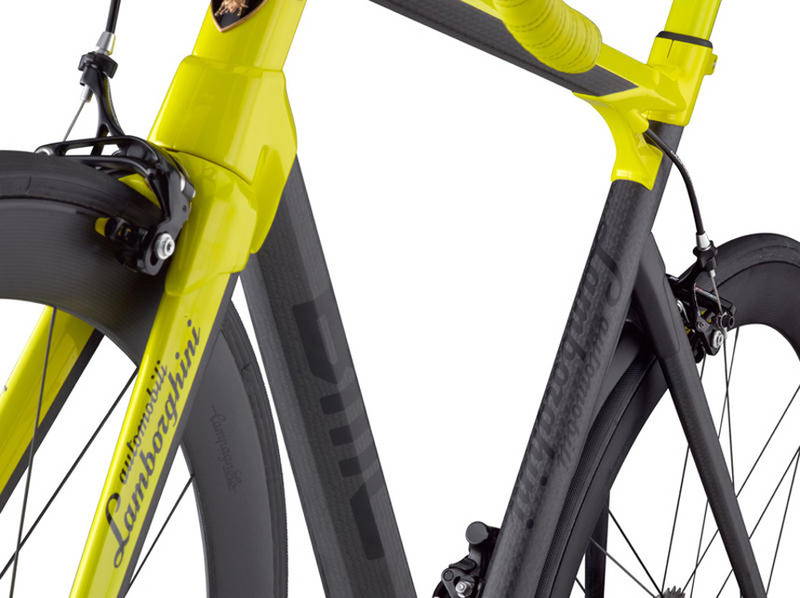 The special Lamborghini label on thte head tube.